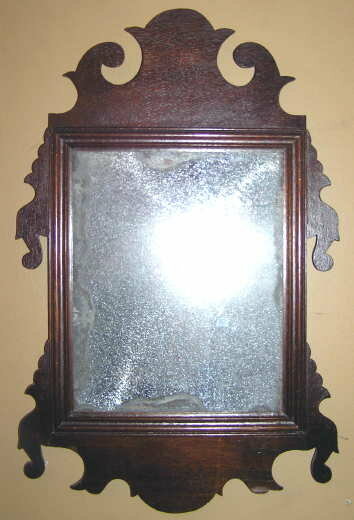 This antique American federal period mirror in the Chippendale style dates from the early 19th century and contains its original mirrored glass. 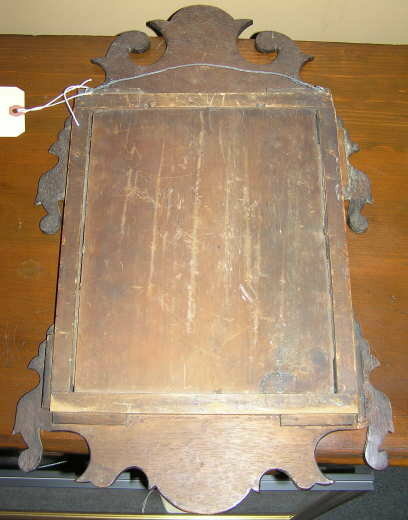 Measures 20.25" high and 12.5" wide. Mirror can no longer be used to due deterioration of the silvering, but it nonetheless is a pretty and fine example of 19th century craftsmanship. Glass could certainly be resilvered. This item resides on the upper west side of Manhattan ( New York city ) and may be seen by appointment. 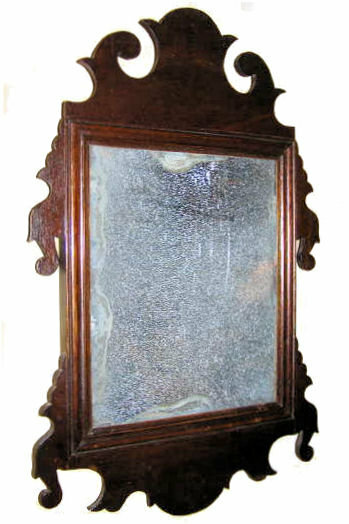 Items Similar To "Small 19th Century Looking Glass Mirror"